This summer you can support Back to Natives Restoration by eating at your favorite Santa Ana restaurants. Saturday, July 23, Two shifts starting at 8AM! On June 18th, Santa Ana’s very own Joni Renee will host “Forests, Faeries, and Mudberries“, a multi-gallery art charity event sponsored by the Amazon Conservation Association, American Chestnut Foundation, Tree People, American Forests and Forest Trends. The purpose of this event is to raise awareness and funding for reforestation of our planet. 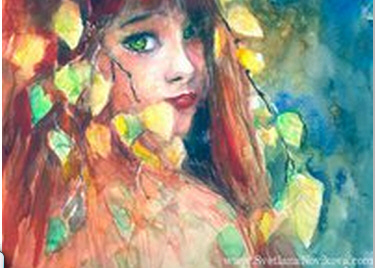 All art is fairy, forest or woodlands themed, and the artists will be dressing up. Our incredible evening includes games, face painting, dancing, crafts, story time, snacks, and lots of fun fairy merriment. All guests encouraged to wear their pixie wings! Location: Santiago Art District Art Walk – on the corner of Santa Ana Blvd and Santiago Blvd (park in the train station parking lot across the street – it’s free all night!). Free music and wine all night! 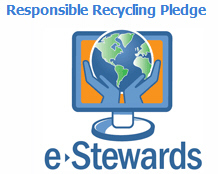 50% of ANY SALE made during this event will benefit the reforestation charity of your choice. This event will span FOUR galleries: Karman Orange Gallery, Kavika Works Gallery, Barry Berman Gallery, and the Joni Renee Gallery. Free with a suggested $5 donation. Fairy costumes encouraged. The art walk begins at 7 PM and some galleries stay open as late as 11 PM or even later. With nearly 15 galleries to visit, all showing various types of works in various mediums, there’s something for everyone. Santa Ana is quickly becoming Orange County’s premier city for art, music, and food. Stay for a bit at each gallery and meet the artists. TreePeople is an environmental nonprofit that unites the power of trees, people and technology to grow a sustainable future for Los Angeles. Simply put, our work is about helping nature heal our cities. TreePeople’s mission is to inspire, engage and support people to take personal responsibility for the urban environment, making it safe, healthy, fun and sustainable and to share the process as a model for the world. 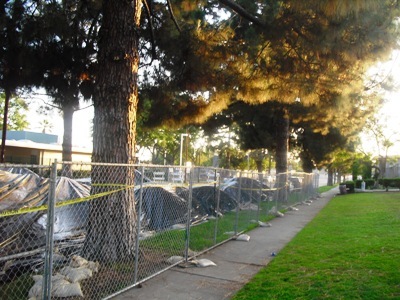 TreePeople’s long-range vision is to green Los Angeles by establishing a Functioning Community Forest where local residents and businesspeople have joined together to transform their neighborhood into a sustainable ecosystem that functions like a healthy, natural forest. Volunteer or donate directly at (818) 753-4631. How would you like to get rid of your gasoline powered lawn mower and exchange it for a new electric lawn mower – that won’t pollute our environment? 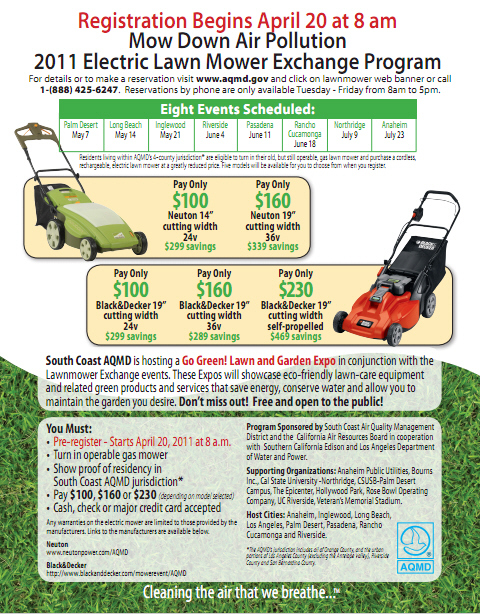 The South Coast Air Quality Management District (AQMD) is hosting a lawnmower exchange program on July 23, in Anaheim. Residents living within the South Coast Air Quality Management District’s 4-county jurisdiction are eligible to participate in the 2011 Electric Lawn Mower Exchange program. This region includes all of Orange County. Pre-registration is required to exchange your lawnmower. Unlike previous years, in order to be eligible to buy a new, cordless electric lawnmower for $100 under this year’s program, you must pre-register on the AQMD web site (www.aqmd.gov), or by calling our toll-free phone number (888) 425-6247. When you pre-register, you will be given a confirmation number, and a ½-hour time slot during which to come to the exchange site of your choice. Pre-registration is first come, first served. Limit of one mower per residence. Your old gasoline mower must be in operating condition to qualify for the trade-in. The purpose of the program is to eliminate the emissions caused by old gasoline-powered mowers that would otherwise continue to be used. What happens if you don’t appear at the exchange site during your pre-registered time slot? Your confirmation guaranteeing you a mower is only good for the site and date you selected. We encourage you to arrive at the exchange site during your scheduled ½ hour time slot – not earlier and not later – to reduce traffic backups at the site. If you do not show up by the last time slot for the day you scheduled, your reservation will expire and cannot be used for another event. 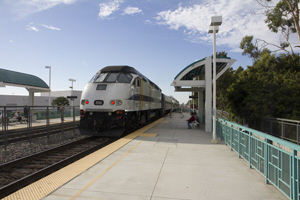 The Orange County Council of Governments (OCCOG) wants your input on a planning effort that your organization may be interested in relating to transportation, land use planning, and potential health benefits. In late 2009, Orange County embarked on a first-ever attempt to develop and implement a subregional Sustainable Communities Strategy (SCS) as required by state law, SB 375. The goal of SB 375 is to reduce greenhouse gas emissions from automobiles and light trucks through integrated transportation, land use, housing and environmental planning. The Southern California Association of Governments or SCAG is responsible for developing a regional plan and the Orange County Sustainable Communities Strategy (OC SCS) will represent Orange County’s contribution to this effort. After more than 50 public meetings with local jurisdictions and others, a Draft Orange County Sustainable Communities Strategy has been developed and is available for further comment. To view the Draft OC SCS and for updates on future public meetings, please visit the OC SCS website and sign up for e-notifications at http://oc-scs.org/. Comments on the Draft OC SCS are due by June 10, 2011. Thank you for your commitment to Orange County. 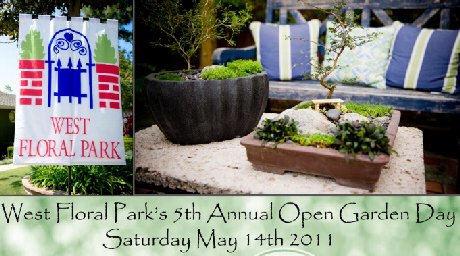 Come visit the West Floral Park Neighborhood Association’s “Open Garden Day,” on Saturday, May 14. Twelve of their lovely gardens will be open for touring from 10 a.m. to 4 p.m. A variety of gardens will be showcased including entertainment spaces, park-like settings, vegetable & herb gardens, and intimate relaxation retreats. New this year–Garden Bazaar offering unique artisan items for sale. Click here for additional information. Admission is $10 per person. You may buy your tickets at 902 Riviera Drive, in Santa Ana. 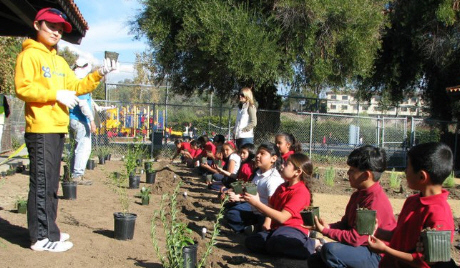 SANTA ANA, CA – April 21, 2011 – Santa Ana Unified School District (SAUSD) earned four 2011 Community Building Awards for contributions to the surrounding community and the environment. The awards were presented by the City of Santa Ana’s Resource Network, which recognizes individuals and organizations who create a positive environment and make Santa Ana a productive place to live, work and play. Award recipients follow. Superintendent Jane Russo received the Chief Executive of the Year Award capping a 38-year career in education, and effectively improving academics, modernizing school facilities and expanding partnerships with the city critical to the well-being of both entities and the constituents served. For its Saddleback High Solar Generation and Energy Program, the Facilities Department received a Friends of the Environment Community Building Award. 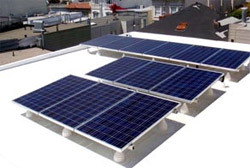 Installed in 2010, the roof-mounted solar photovoltaic electrical generation system will meet up to 75% of the school’s annual electrical needs while saving nearly $15 million over the 25-year project lifetime. Jackson Elementary School in partnership with the Santa Ana Police & Athletic League was honored for its lunchtime fitness program, which teaches students the importance of regular physical activity and builds skills that support an active lifestyle. In just the first year of the program, the passage rate for Jackson 5th graders on the California Physical Fitness Test increased by over 300%. The Orange County High School of the Arts also earned an award for providing artistic and meaningful experiences for high school students and those at the elementary level through an innovative summer camp. 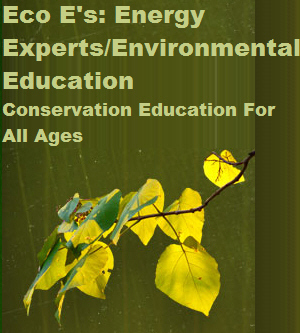 For more information about SAUSD log on to http://www.sausd.us/. Cooking demos show you how to cook with fresh Asian veggies. IRVINE – Spice up Sunday dinner with fresh, exotic Asian fruits and vegetables. 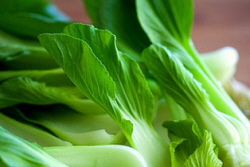 Local farmer Vu Fresh Produce will showcase a variety of seasonal Asian produce, including snow pea sprouts, bok choy, lemon grass, Chinese mustard greens, Chinese broccoli and more this Sunday, March 6th at the Great Park Farmers Market. Visitors to the Farmers Market will also be able to participate in two cooking demonstrations to make use of the produce they pick up at the market. One demonstration will show visitors how to make a fresh Asian veggie salad, and Rolling Sushi will host a sushi demonstration. Rolling Sushi is one of a rotating lineup of gourmet food trucks on site each weekend at the Farmers Market. This weekend will also be the return of poetry at the Farmers Market. The first Sunday of each month, visitors can sit and enjoy live poetry readings from local poets Heather Autumn Love and Daniel Romo. On the lawn, students from Irvine Valley College will teach visitors the sport of badminton. The Orange County Great Park, with its 1,347-acre master plan, is the focal point of the redevelopment of the publicly-owned portion of the 4,700-acre former Marine Corps Air Station, El Toro. The Great Park is currently 27.5 acres and includes an iconic tethered helium balloon that rises 400 feet in the air, providing an aerial view of Park development. A $70 million development plan to expand the Park to more than 200 acres is currently underway. The plan will build out a core section of the Park for the most immediate and wide-ranging public benefit, including the initial components of the sports park, a 114-acre agricultural area, and an art and culture exhibition space. For more information, please go to www.ocgp.org. New Public Programs in Santa Ana! 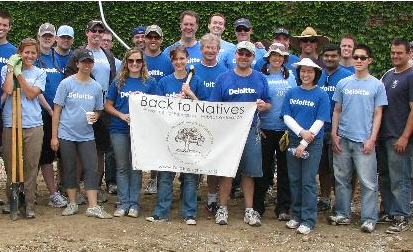 Back to Natives is partnering with Santa Ana Parks, Recreation and Community Services Agency to provide public programs at the Santiago Park Nature Center beginning in March, 2011. Community members from throughout Orange County will have an opportunity to enroll in classes on a variety of topics. The Nature Center is located at 600 E. Memory Lane in Santa Ana. Click here to friend Back to Natives on Facebook. Join Reginald Durant from Back to Natives to learn all about Biodiversity — the variation of life on Earth. In South Coastal California we live in a biodiversity hotspot within a hotspot. Learn why biodiversity is important, why it is threatened, why we should care, and what we can do to protect it. $5. Join Back to Natives and spend some time in Nature while getting healthy! Samantha Probst, nutrition specialist and Wellness Coach will help participants understand nutrition and the role it plays in the development of our body. Each week we will be discussing a different topic to empower and inspire participants to sustain healthy eating habits, and manage their weight, energy and vitality. Topics include “Garden to Table”, “Empowering Food to Fuel your Body,” “Power Foods for the Busy Lifestyle,” “De-Mything Food Facts,” and “Energizing your Day with Healthy Habits.” $50/5 Weeks. Join Back to Natives for a hands-on class to increase your native plant propagation knowledge. Participants will learn which native plants propagate best by seed, cuttings, layering, and division, and examine unique methods for mimicking nature’s scarification process. The biology, anatomy, history, and use of these propagation techniques will also be covered, briefly. Each week for ten weeks students will accompany Back to Natives staff on a visit to the Santiago Park Nursery where they will help propagate native plants for use in habitat restoration and environmental education projects. Students can choose to count class time toward volunteer hours, or choose to take home up to ten native plants for their garden! $60/10 Weeks. Join Brian Maddock from Back to Natives to learn the step by step process of decomposition and the conditions necessary for composting efficiently. Brian will discuss appropriate composting material and the importance of brown to green waste ratio. This course will explore the many techniques used to compost organic food/yard wastes including proper air flow, moisture levels, temperature, and compost material. During each class, participants will engage in an hour lecture on the fundamentals of composting, as well as an hour of hands on experience. $50/10 Weeks. Join Brian Maddock from Back to Natives to learn about complex ecological systems and how they can be utilized to maximize growth potential in a permaculture garden. Creating a cradle to grave system in your garden will allow homeowners to lower the cost of maintenance and sustain natural resources. Participants will learn about the biological relationship between plants, microorganisms, and the soil; which create a harmonious system that recycles waste and adds nutrients to the soil. Homeowners that understand these systems possess the ability to maintain a sustainable food source in their own back yard. $50/10 Weeks. Have you volunteered with Back to Natives? Without funding, BTN can not put on volunteer restoration events! Or donate just $5.00 to keep BTN operating! Did you know that Santa Ana Mayor Miguel Pulido represents Orange County cities on the Board of Directors of the South Coast Air Quality Management District? He recently was interviewed on a T.V. show produced by the agency, regarding his work with the AQMD. The video is above. 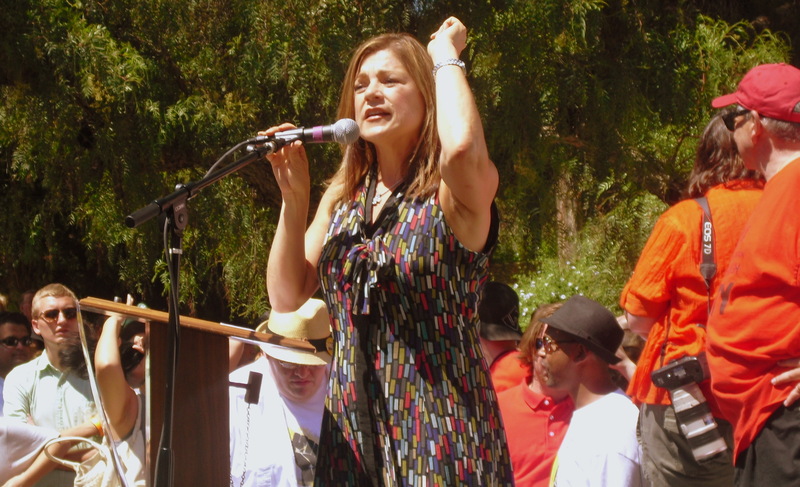 Pulido holds a Bachelor’s Degree in Mechanical Engineering from California State University, Fullerton. He co-owns an auto service shop run by his brother, in Santa Ana. He also is a consultant on green issues. The South Coast AQMD believes that all who live or work in this area have a right to breathe clean air. AQMD is committed to undertaking all necessary steps to protect public health from air pollution, with sensitivity to the impacts of its actions on the community and businesses. This is accomplished through a comprehensive program of planning, regulation, compliance assistance, enforcement, monitoring, technology advancement, and public education. The AQMD is the air pollution control agency for all of Orange County and the urban portions of Los Angeles, Riverside and San Bernardino counties. This area of 10,743 square miles is home to over 16.8 million people – about half the population of the whole state of California. It is the second most populated urban area in the United States and one of the smoggiest.